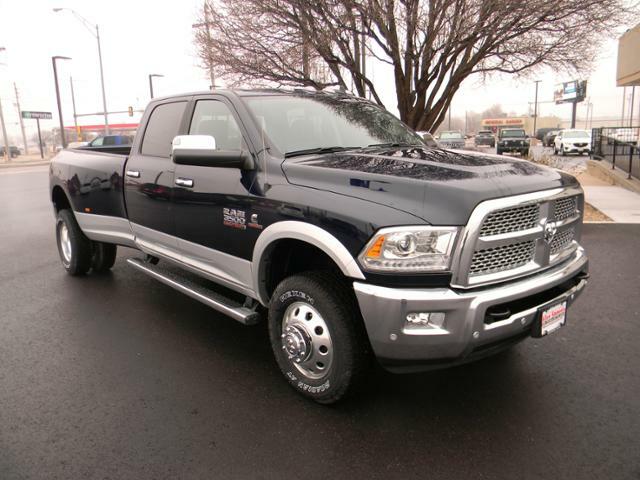 Only 1 Laramie 4x4 Crew Cab 8' Box model left in stock! 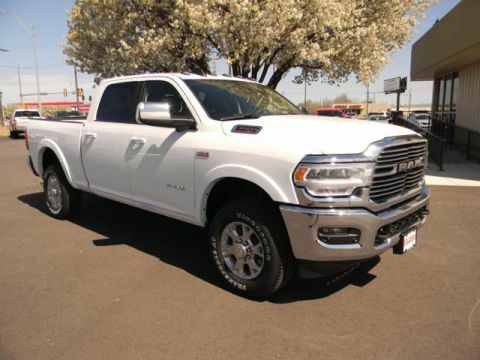 NAV, Heated/Cooled Leather Seats, Bed Liner, Turbo, Back-Up Camera, 4x4, CHROME TUBULAR SIDE STEPS , RADIO: UCONNECT 4C NAV W/8.4 DISPLAY. TRANSMISSION: 6-SPEED AUTOMATIC 68RFE. 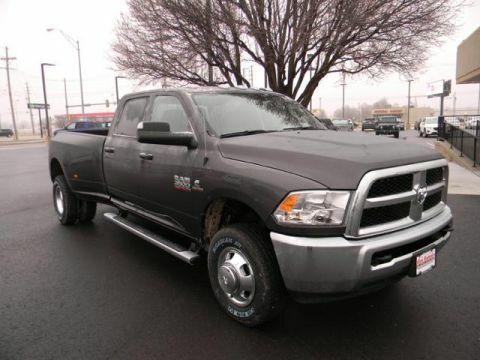 ENGINE: 6.7L I6 CUMMINS TURBO DIESEL, Tow Hitch. ENGINE: 6.7L I6 CUMMINS TURBO DIESEL Cummins Turbo Diesel Badge, GVWR: 12,300 lbs, Current Generation Engine Controller, Diesel Exhaust Brake, Selective Catalytic Reduction (Urea), RAM Active Air, DUAL REAR WHEELS Tires: LT235/80R17E BSW AS, Wheels: 17 x 6.0 Polished Aluminum, Dual Rear Wheel Fender Flare Tracking, Clearance Lamps, Tire Pressure Monitoring Delete, 17 Steel Spare Wheel, 6000# Front Axle w/Hub Ext, Box & Rear Fender Clearance Lamps, RADIO: UCONNECT 4C NAV W/8.4 DISPLAY SiriusXM Travel Link, 5-Year SiriusXM Travel Link Service, 5-Year SiriusXM Traffic Service, 1-Year SiriusXM Guardian Trial, HD Radio, Media Hub (2 USB, AUX), SiriusXM Traffic Plus, GPS Navigation, CHROME TUBULAR SIDE STEPS, SPRAY IN BEDLINER, REMOTE START SYSTEM, POWER ADJUSTABLE PEDALS W/MEMORY Radio/Driver Seat/Mirrors/Pedals Memory, TRANSMISSION: 6-SPEED AUTOMATIC 68RFE 3.42 Axle Ratio. 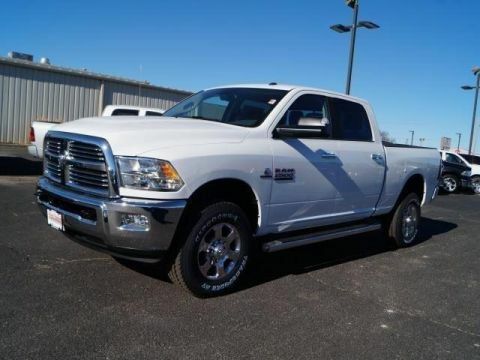 KBB.com explains When it comes to ability, Ram's heavy-duty 2018 2500/3500 HD pickup trucks have more than enough muscle to back up their bold and rugged appearance..